at or for the school. You'll see the forms near the machines. 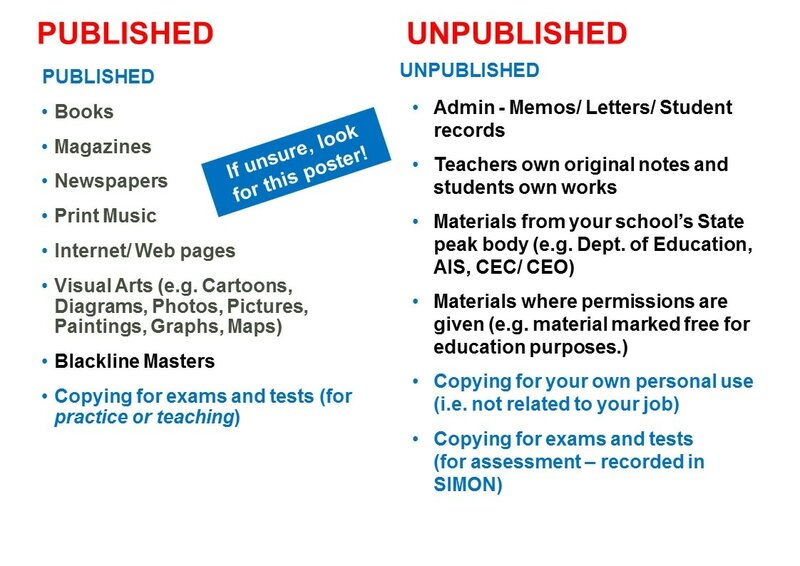 Our school pays licences so we can use published material for educational purposes without having to seek permission from the creator or copyright owner. The information provided by our school through the Copyright Collection Survey (CCS) enables the licence fees to be distributed back to the copyright owners of the materials used in schools. 1. The photocopiers around the school have been numbered. These are all monitored machines. Anytime you print, photocopy or scan on one of these machines you have to fill out forms. 2. 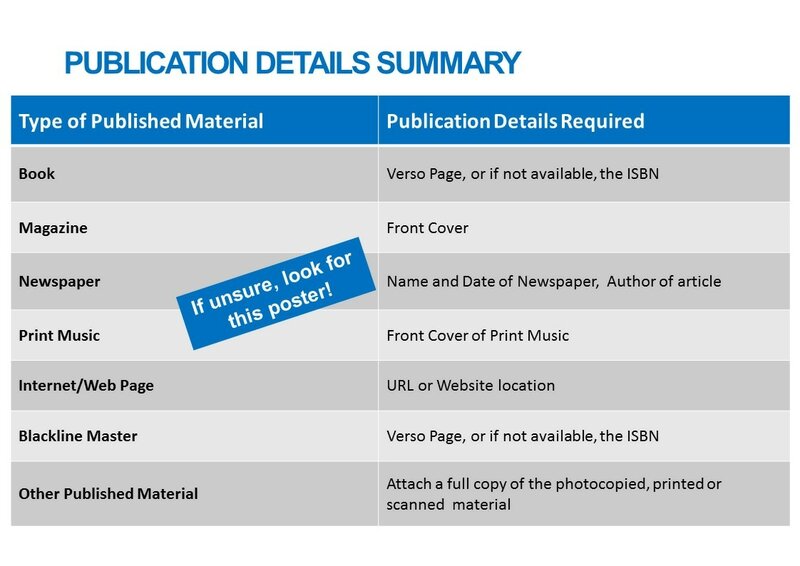 You need to decide if the material you are using is "published" or "unpublished". See image below. 3. 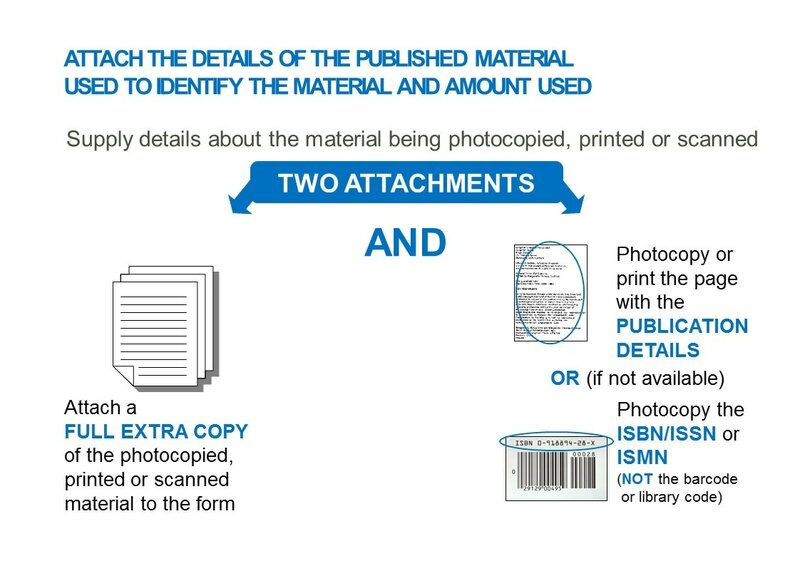 If using "published" material - fill out the "Copying Declaration Form". If it is "unpublished" material - fill out the "unpublished material log". Watch the online training here.